A wife who filed a false police report claiming her husband “choked her and hit her until she feared for her life” was caught on surveillance cameras punching herself in the face just before she made her complaint. A man has called on the federal government to deport his estranged wife after he claims she attempted to frame him for domestic violence. Sydney man Faisal met Asmae through the Muslim dating website, Muslima.com. He was smitten with her, and proposed soon after leaving western Sydney to meet Asmae at her parents’ home in Morocco. 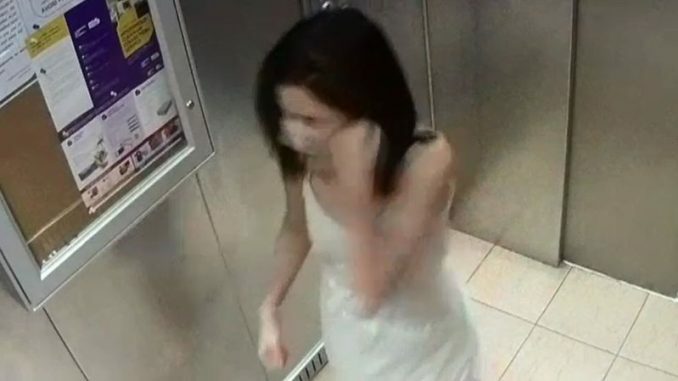 […]CCTV vision shows Asmae leaving the apartment and entering the lift. Inside the lift, she gave herself two uppercuts to her face. She then went to the police and claimed Faisal had assaulted her. Faisal, concerned for Asmae’s safety, also went to the police, where he was arrested and charged. He was held overnight while officers accompanied Asmae back to the unit to collect her things. Faisal claimed the police unwittingly helped Asmae steal his belongings, including designer sunglasses, expensive watches and a laptop. Of greater concern, however, were the four assault charges Faisal faced, which could have seen him jailed for up to seven years. During the next two months, he desperately sought to prove his innocence. He spent $20,000 on a lawyer and trolled through hours of apartment CCTV vision until he finally found the footage that proved his innocence. NSW Police immediately dropped the charges against Faisal, but never moved to charge Asmae with making a false accusation. According to The Daily Mail, the couple “had been married for eight months when trouble began brewing in April,” which seems to suggest she was only in Australia for around a year. Unfortunately for her there was a surveillance camera in the elevator, otherwise she no doubt would have got away with it and Mr. Faisal would be rotting in prison.